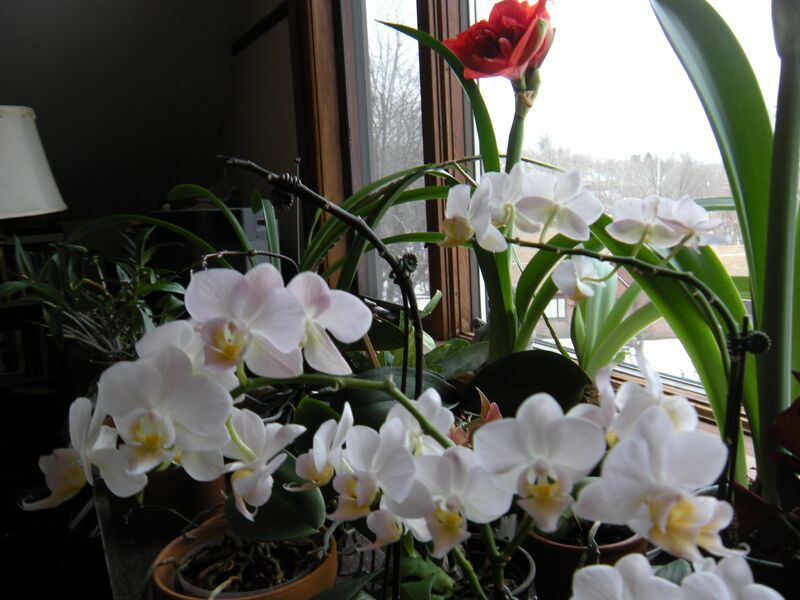 winter windowsill . . .
It’s March, the Ides of Spring but it still feels like winter outside. This is the first weekend in a long time where we have not had a snowstorm and we are told that daylight saving time will be upon us next weekend! As I watered the plants this morning, it seemed like a good idea to capture some of what’s going on there: the amaryllis blooms are heartening since I forgot all about these summered-over pots during the Christmas bustle. Discovered hidden on the inside porch and given a little water, they appear in full regalia. 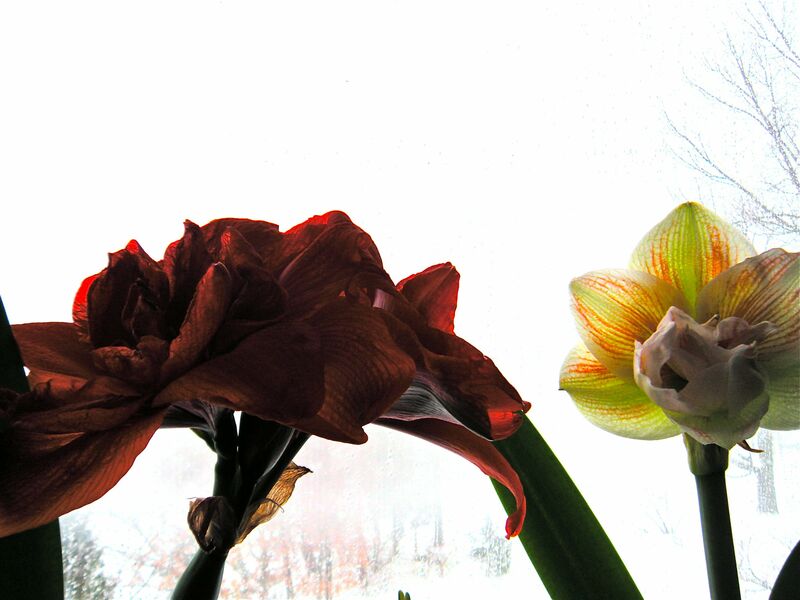 It never fails to amaze me when amaryllis bulbs come back year after year. 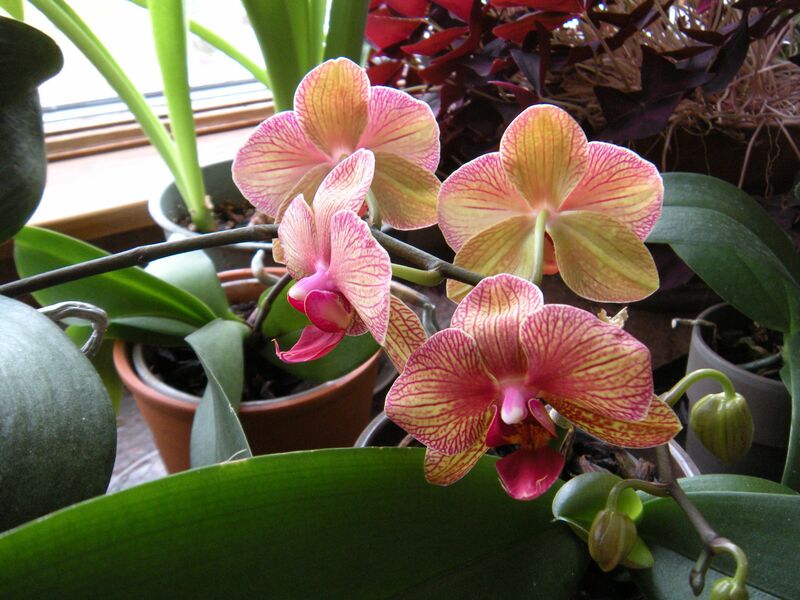 These neglected late-bloomers are a nice boost during the quiet early months of the new year. 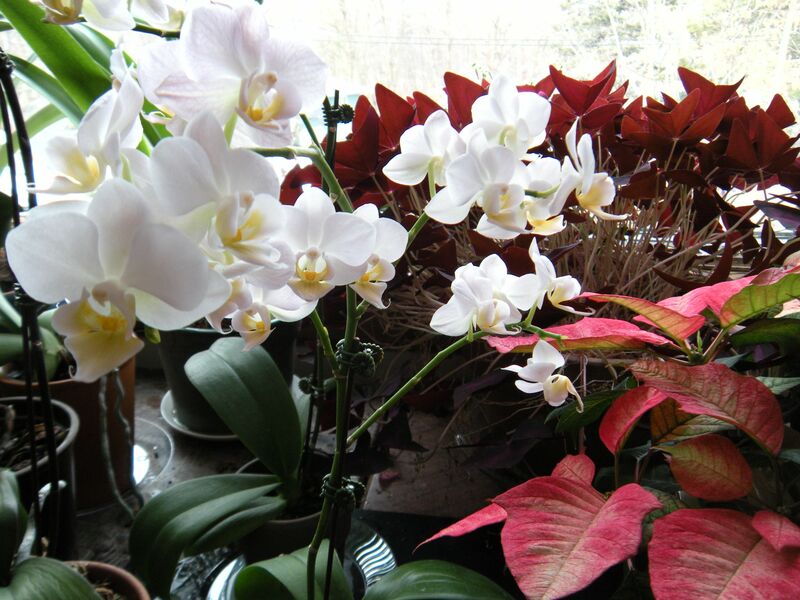 During this quiet hiatus between the seasons, we are thankful for all the orchids, amaryllis and other plants humming along on our winter windowsill.